Like the comforting soft croaking of backyard frogs? Dislike bugs and mosquitoes? Then why not learn how to set up a frog pond in your own backyard? What you may not know about the garden frog is that it can cope with climate diversity like no other animal. It’s not uncommon to find them in the snowfields or even surviving in desert wastelands! That’s a pretty easy pet. You only need to be as nurturing as a desert to keep your frogs happy, and in return they will eat the insects and mosquitoes which bug you; attract birdlife; cool your garden in summer; and help create a little micro habitat right in your own backyard. Anke Maria Hoefer has been training volunteers how to eavesdrop on frogs since 2011. She is a great advocate for Citizen science, stewardship and above and beyond all, frogs. She singlehandedly coordinates the ACT Frogwatch Program. In her previous life she has been a physiologist, morphologist and a behavioural ecologist. 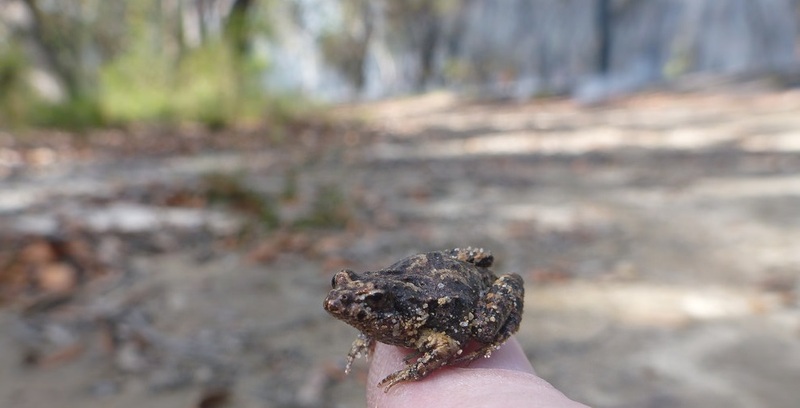 Anke Maria is elated about the recent publication on Frogwatch Data and the 2015 ACT Landcare Citizen Science award.